The slimmest .380 auto on the market. Measuring just 0.7" at its widest point, the Pico is the thinnest .380 auto on the market…by a full millimeter. Now, that may not sound like much, but when you're carrying 24/7, you know that every millimeter counts. Even better, its snag-free profile allows it to virtually disappear when worn in a waistband, belt or ankle holster. If you should ever need it, the Pico is ready to rock with a smooth double-action only trigger and soft-shooting feel. 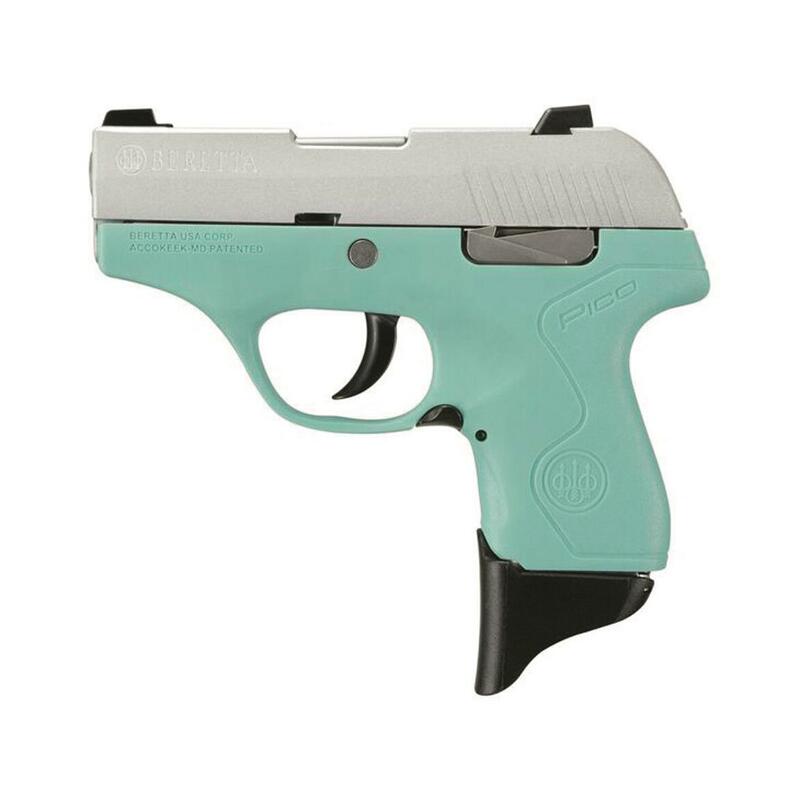 Even better, the grip frame, sights, and caliber are all simple to modify, so you can easily convert it from .380 to .32 by changing the barrel (all accessories sold separately). Even the dovetail quick-change sights can be adjusted or replaced by the user. 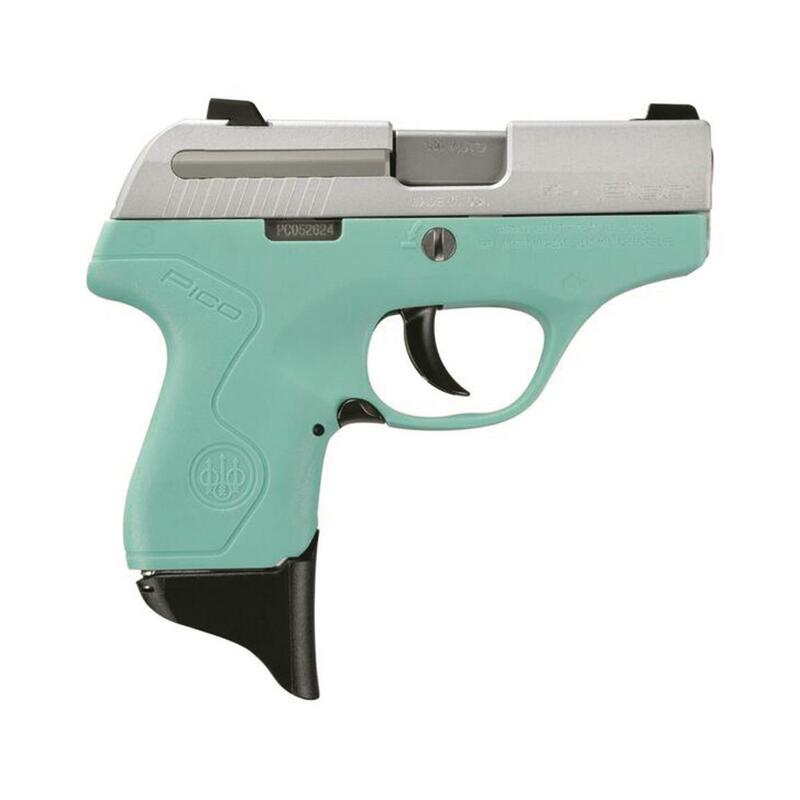 Light, durable, and easy to draw from concealment, the Pico delivers everything you could want in a subcompact. Beretta Pico Blue, Semi-Automatic, .380 ACP, 2.7 Barrel, Robins Egg Blue Frame, 6+1 Rounds is rated 5.0 out of 5 by 1. Rated 5 out of 5 by texas rangerider from the easiest semi auto to use great "little gun" to conceal iwb/owb small hands work better for this firearm,trigger and slide take some strength to mastet,but for dark streets jogging alone this is your weapon,beretta quality no doubt! !